We now require users to have a verified PayPal account in order to receive withdraw payments. We understand this might be an inconvenience for some of you, but we believe this is the best choice for us at the moment; as it will greatly help reduce the amount of users attempting to abuse our services and will in turn create a better community for all of us. We've fixed an issue that was causing views to not pay out properly for some users. You should now get Credits for them once the pending timer is finished. We've issued bans to various accounts who were abusing our website. This is a reminder: you are not allowed to use multiple accounts, use automated software to complete offers, or unfollow streamers in mass amounts. Doing any of those things will result in permanent removal from our website. If you believe you were banned in error, you can email us. But know that the odds of being unbanned are slim-to-none.. We make sure bans are valid before handing them out. Just to let everyone know, we do NOT allow users to use automated software or scripts to perform actions on our site. We've recently been cracking down on users who have been using unfair advantages. We've said in the past that we do not mind when people use browser extensions/add-ons to automatically refresh the page once a minute. But some of you have been taking it to a whole new level by using scripts and programs to perform actions on your behalf. THIS IS NOT ALLOWED! All actions must be performed by yourself, as that is what this whole website is about. If you use automated programs / scripts, you're as useless to this site as a bot is. And we proudly stand by the fact that we do not use bots or fake accounts. So let this be your warning. We have plenty of new systems in place to find those who are abusing our site, so don't risk it..
We've made some adjustments to a few of our scripts to help the server run better. We've also banned a numerous amount of accounts that were abusing some of our features. We have also removed the 250 Credit bonus from referrals for the time being. We had a slight issue with one of our scripts that was responsible for counting down certain things (such as Daily Bonus) and processing follows + views. The site should now be functioning 100% like normal! We've re-worked some of our backend to (hopefully) reduce stress on the server. As you've all been able to tell, the server is having a hard time keeping up with the growing number of visitors we've been receiving. We're actively looking for ways to resolve this issue, maybe even switch to a different hosting provider. Don't worry, we aren't going anywhere though! We love providing everyone with awesome features and services. The struggling server is just a sign that you guys love us as well! Thank you! We have added a new feature to the backend of our website that will detect unusually large amounts of traffic from specific users. When a user is caught sending too many requests to the server, they will be timed-out for roughly 1 hour. Please do not constantly refresh the website looking for offers. One refresh every 60-120 seconds is more than enough; one refresh every 2 seconds is unnecessary. Update: The script was working a little weird, which was making it so people were blocked longer for the expected time. We have fixed this and you should all now be able to access the site normally again. This time-out script is still functioning though, so keep that in mind. We've upgraded the server once again! This time it is located in a different data-center with newer equipment. The CPU performance should be better and able to handle the load for now. Mainly, it will be possible to upgrade the server even further (we hit the limit on the old server). We have doubled the size of our server to better handle all of the traffic we have been getting. Things should run a bit better and hopefully less downtime now as well. Thank you for your patience! We have increased the amount required in order to request a payout. This amount has been increased from $10.00 (10,000 Credits) to $20.00 (20,000 Credits). This is due to the large amounts that you are all earning now, so, congrats! You can now see your view offers (and cancel them if you wish) under "My Open Offers". Updated: Power is back and we're functioning like normal. Thanks! We have lost power in our office and will be working at a delayed rate. Payouts will be put on hold until power is restored. Thank you for understanding. We've added a new feature to our website for streamers and viewers to both take advantage of, Channel Views! Streamers can now place an offer to buy views for their Twitch page in order to boost up their channel numbers. Viewers get paid when viewing a stream just like they do when they follow a stream. Except this time around, you can re-view the same stream once per day! Make sure you keep coming back each day to take advantage of this new money making method so that you can earn as much as possible! Please note that this is not a "viewbotting" service. The service we are providing is simply just viewing the page, it is up to the user whether or not they want to watch the stream and/or follow. All actions performed on our website are 100% done by our users under their own free will. We've had to change our Twitch account. It is no longer "TwitchFollowsCom", it is now "RealTwitchFollows". Fixed an issue that was causing visitors to get a blank screen when trying to load the site when not logged in. We've made some minor adjustments to the site's code in order to speed things up a bit. This means that auto-updating sections of the site (such as Who's Online and open offer counters) won't update as fast as they did before. Doing a full refresh of the site (F5) will always update it though. We'll continue to check things out and see where we could speed up some code. We are also considering fully re-writing the website's backend to provide a faster experience. Please let us know if anything "weird" happens, thanks! We'll be rolling out all of the Premium features over the next few hours. The list below will be updated as features are published to the site. 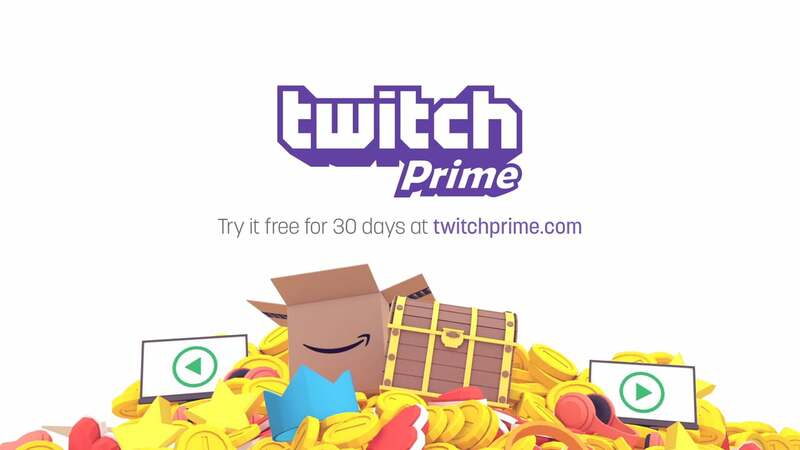 Thank you to everyone who has upgraded to a Premium package, we hope your Twitch experience has been more enjoyable after using our services! Username Icons - You will now find your Premium icon next to your username, which will be colored based on your rank for that type. The more deposits you make on our site as a Premium Streamer, the higher the color you'll unlock. Premium Viewers will need to follow more streams to increase their color. Those of you who own both packages, you can upgrade your color by doing any of the ways mentioned above. Featured Offers - Premium streamers will now have their offers listed at the top of the results, along with an animated progress bar and border outline to help them stand out! New Offer Limiter - All new offers from here on out will be reserved for Premium Viewers for 24 hours. During this time, only those who have bought the Premium Viewer package can complete the offer. Once 24 hours has passed, the offer will be available to everybody else. Instant Offer Completion - Premium viewers will now gain Credits immediately when they complete a new follow offer. Live Streams + BIG Screen - Have your stream listed on our "Who's LIVE" page, with your chance at appearing on the BIG Screen! Twitter Integration - Taking a little longer than expected, keep an eye out for this feature in the next few days. Premium Streamers can now link their Twitter account to have it shown on their follower offers and on the BIG Screen! It's finally here, the BIG Screen! Sorry for it taking so long, there were quite a few technical issues that we had to work out. Enjoy! We've increased the minimum payout threshold to $10 USD in order to help speed up our payment process. We have added a new little feature to the site where you can earn up to 10 Credits a day by visiting one of our sponsors. It's quick and easy to do, and can be done every 23 hours. You can find it on your homepage by clicking here (must be logged in). Update: We have had to reduce our payout from 10 Credits to 5 Credits in order to keep the daily bonus active. We've had to upgrade our server once again. We've gained almost double of our average amount of visitors this month so far, and it isn't even half way over! Thank you all for the support, good luck out there! We are not affiliated with Twitch.tv in any way.